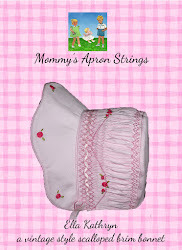 Mommy's Apron Strings: Vintage "Glad Rags"
I recently found a vintage button-on suit in a larger size. I try to get them when I find them, especially because my little Andy is a great model for them. 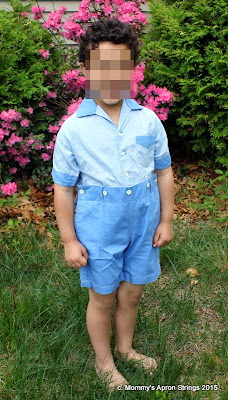 This is what I imagine the little 1930s boys wore to school or play. 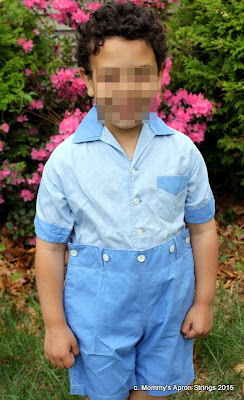 Andy doesn't like all the buttons. How did boys ever go potty? Here you can see that my azalea is in bloom. It was a Mother's Day present several years ago. Here is the tag. Glad Rags, age 7. 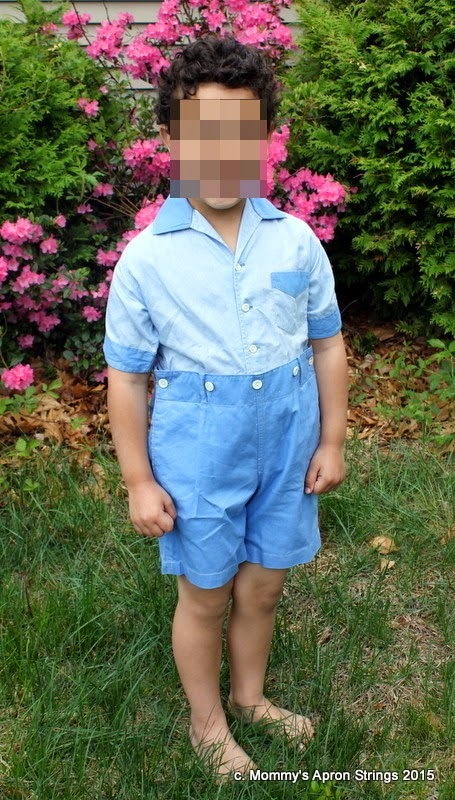 My Andy is nearly 5 and tall for his age, but I can't imagine this fitting but the most petit of 7 year olds! The shirt fabric is a sort of woven jacquard with swirls. It feels like cotton. Here's the back view. It has belt loops, so maybe once upon a time it also had a belt? A parting shot from Carter, our dog, enjoying time on the porch. Do you see his smile? 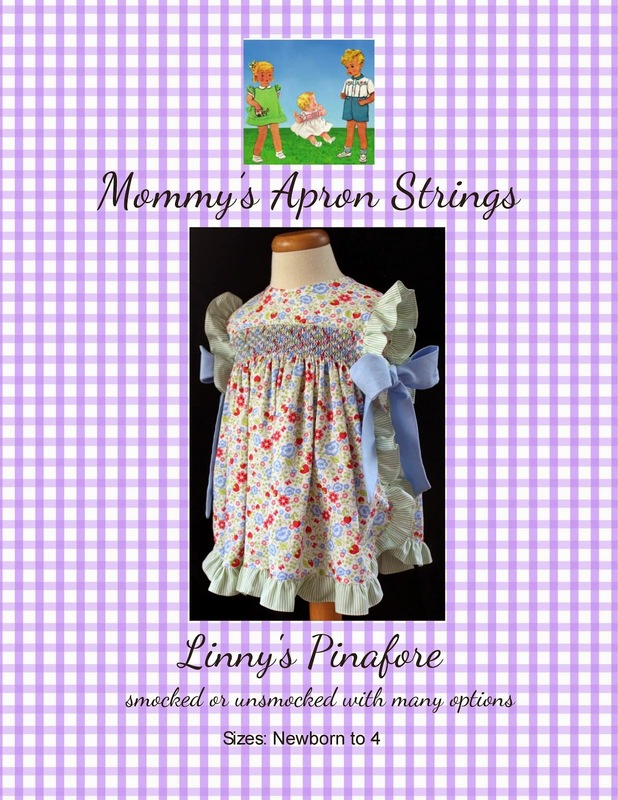 Linny's Pinafore is for Sale!